At this time of the year, we are encouraged to consider New Year’s resolutions. While I think this is helpful, without reflecting on the year passed, we may find it difficult to feel into what most calls us forward. Ideally find the space and time for reflection, to journal and feel into what’s true for you; what is going to move you towards your passion or heart felt longing and what takes you away from it. You may find it beneficial to go for a walk, spend time in nature, practice yoga or meditate. Find something that helps create a container of quietness for reflection and intention setting. Intentions come from the heart – they arise from the values that are most important to you. An intention is connected to your life’s purpose, and is a specific way of expressing it at a given time in your life. 1) What am I celebrating? What am I grateful for? What has been wonderful and magical about this past year? 2) What is one aspect about myself that I have especially loved this year? What am I proud of? 3) What would I have done differently this year? 4) What do I want to let go of? 5) What do I want to call in for the new year? So a retreat is a place where you pull back from the world. You withdraw from your regular life, pulling in all the energy that’s otherwise fanned out and thinned out in multiple directions. You gather your forces to focus them on something you love. From this place, you get a new perspective, you regroup and re-energize. You find inspiration. Then you put inspiration into action. You bring that thing you love to fruition. You step out of your structured scheduled day-to-day and step into space and time. Time on retreat is different, fluid. There’s no need to rush! You find a space where you can give yourself time to connect with flow, genius and inspiration. So, you breathe life into your life. Inspiration is a frame of mind that can come from a change of landscape and outlook. We’re all creative. Creativity and inspiration happen when you take the time away from your day job to remember your day dream. When you’re on a yoga retreat, you get to listen. Why? Because there’s no kids, TV, co-workers. Time away from mobile devices is encouraged. What do you hear? The sound of birds, the wind and life around you and maybe, just maybe, an inner calling and the quiet inside your heart. Everyone needs to unplug, unload, clean out and empty their mental desktop. You will leave a retreat lightened, clearer, recharged, refreshed, and more present. This new perspective can guide you to make changes in your life that you know you need to make. Retreat is a safe space, literally and figuratively. An opportunity to really let go. Society wants you to be the mother, father, sister, wife, husband, friend, lover. On retreat you can drop all the roles. You can just be the exquisite and unique expression of life that you are! It feels wonderful to be with people who get you. Sometimes your friends and family don’t really understand your love of yoga. On retreat you have an opportunity to dive deep into your practice and to share this experience with like-minded people. When you take some space/time, those around you (your partner, children, co-workers) gets space/time too. They realise what it’s like when you’re not around, to work, clean, cook and love them. Without you taking up your usual spot, people shift positions to fill that space. Life takes on a new shape. Life may be different when you return and you are free to take up a new space in it. This is growth. People may see a new you, and they see that they’re new, too. People are motivated to make more positive change. Retreats are important because people leave retreats rested, happier and clearer. Who doesn’t want some of that? I recently attended a wonderful restorative workshop with yoga teacher and friend Ingrid Jolley. At some point in the session, while resting in a beautiful heart opening posture she led a guided visualisation of a lake with the group. Inspired by this meditation, I decided to share it in my own yoga classes over the past week and have recorded it to share here as well. I have naturally used my own words and included some pranayama as well. Enjoy! Wow! I cannot believe it’s been almost 3 months since my last post. It wasn’t intentional but it seems I have been in hibernation. I did recently celebrate my 50th birthday (no grey hairs yet) and have just returned from a beautiful relaxing retreat in Fiji, so I have also been a little preoccupied. I was fortunate to attend a 7 day silent retreat with my spiritual teacher, Richard Miller on 20 April and it has profoundly changed my life. As part of moving deep within and letting go of the busyness, I found that my priorities changed. I live more in the moment, allowing myself to be guided by what brings me happiness and peace. Even the mundane tasks can be pleasant and satisfying if done with awareness and purpose. I take more time in the “in between” moments; after a job is done, when I arrive somewhere in my car – time to pause, breathe and simply be in the moment. I have found that when I make space for myself, I create more space in my day. How cool is that? Meditation has been part of my mornings now for just over 12 months and it really has made a difference to how I see, experience and meet each moment. I am more content than I have ever been and feel deeply connected to all of life. With the days getting a little warmer and the wattle and blossoms beckoning, I feel a gentle pull to look outward again, to become more active, start planning and looking forward. 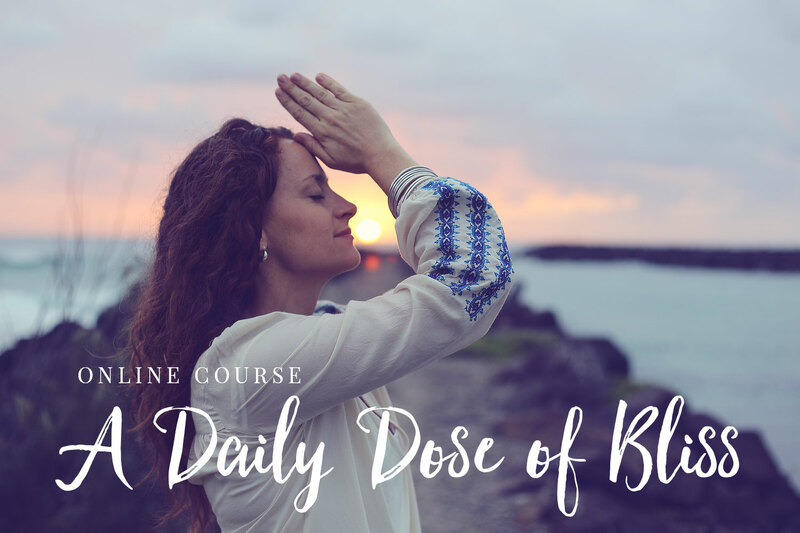 I would love to share with you a beautiful sequence called the Goddess Vinyasa. It’s beautifully warming, opening the upper body while strengthening the lower body. The combination of stability, movement and breath is wonderfully uplifting. You will feel great afterwards! Thanks to my friend Gina for the inspiration and recording below. As we approach Spring and the warmer weather, this would be lovely outdoors. 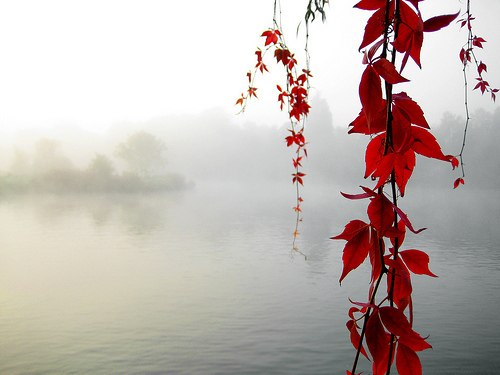 This guided relaxation was inspired by a recent retreat at Mt. Buller, a truly beautiful place in spring. the space of the infinite blue sky. 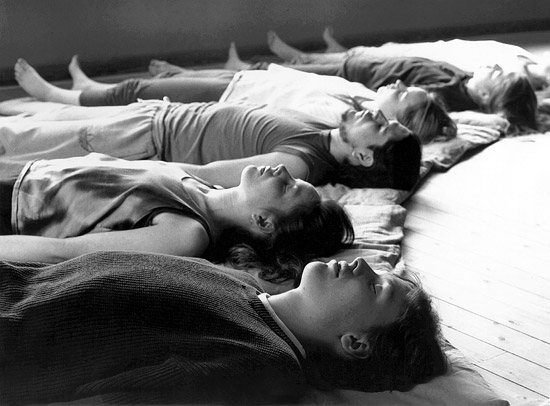 iRest® Yoga Nidra is a form of meditative self enquiry that stems from the ancient teachings of yoga. Within each practice we learn to pay attention to the various feelings, sensations, emotions and thoughts that are constantly changing within our body and mind. This is a mindfulness practice which has a calming affect on the nervous system helping to release physical tension and quiet a busy mind. We learn too, that the sensations we experience are messengers providing us with information; when we listen, we may come to a deeper understanding about ourselves. We learn through iRest to meet, greet and welcome all that arises in our awareness. As we practice acceptance, we learn to meet challenging feelings, emotions, thoughts and memories with a more relaxed response. As we practice acceptance, we don’t “get stuck” or fuse with our experience and therefore move beyond it. We learn to respond, rather than react to life. iRest offers deep relaxation and can be helpful in managing stress, fear, depression, pain, insomnia and trauma. It is practiced in a comfortable position (usually lying down) and no previous yoga experience is required. I have included a short iRest practice below. Allow 20 minutes where you will not be disturbed, find a comfortable seated or lying position using cushions and blankets as needed. If you are interested in exploring iRest further, I run a regular 6 week online course. In class this week I am exploring the Apan (energy) mudra. This is a wonderful practice to help remove waste products and toxins from the body and to stimulate the energy of the liver and gallbladder. When our liver is functioning well, this in turn has a balancing effect on the mind. When we work with the fingers and hands in yoga (hasta mudras or hand gestures), we are influencing the flow of prana (energy) in our body and minds; changing how we think, feel and experience on all levels. With practice, qualities such as patience, serenity, confidence, inner balance and harmony may be experienced. As Apan mudra has a balancing effect on the mind, our ability to visualise, face new challenges and look to the future is enhanced. Find a comfortable lying or seated position. With each hand, place the tips of the thumbs, middle and ring fingers together, extending the other fingers gently. Close your eyes and feel where the fingers touch, while visualising the gesture in your mind’s eye. Rest your awareness here softly, feeling and observing – no expectations, or judgement, simply being with your experience as it is, from moment to moment. 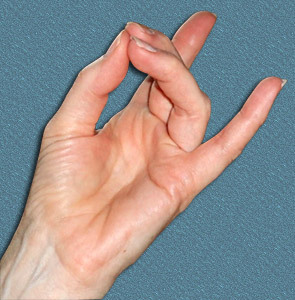 You may like to simply sit with Apan mudra for anywhere from 5 – 45 minutes or include the following visualisation. In your imagination, sit in a beautiful garden. Enjoy the colours and shapes of the plants around you – a garden that is blossoming and full of life. You appreciate the wonder of nature – how a seed germinates, how a plant grows and blooms. In an empty garden bed, plant something that you want to bear fruit, to come into being now or sometime in the near future; a conversation, a relationship, a project etc. Imagine how it sprouts, continues to develop, blossoms and bears rich fruit. See too, who will benefit from these fruits. Finish your visualisation with a sense of gratitude. I plant my seeds, care for them and receive a rich harvest – that I thankfully accept. Rest quietly for a few moments and when ready open your eyes, welcome the light and world back in.